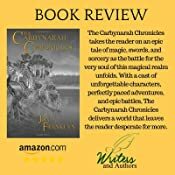 In this classic story of good versus evil, two magical factions square off against each other to determine the fate of magic on Carbynarah (Car ben nar awe). This Epic fantasy story has all the ingredients that will transport you to a land of magic that you never knew existed. 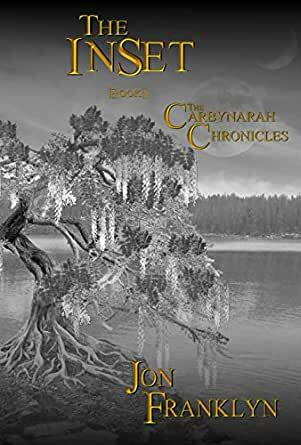 You will finds yourself rooting for powerfully written characters that are so well developed that you will believe they exist – The Carbynarah Chronicles is a powerful story filled with epic adventures, sorcery, magic and a world that is unlike anything you have ever discovered. When the magic begins to fail on Carbynarah, those who use Essence Magic are pitted against Natural Magic, magic users. Only one form of magic can survive, but which one will rule the day? Or … is there another way? Franklyn was born in the majestic San Juan Islands, in Washington State (ten miles east of Vancouver Island) surrounded by artists and writers. Inspired by the faculty at his local high school, including the cousin of Kurt Vonnegut, author of over 25 books and plays, Jon always dreamed of writing his own book. 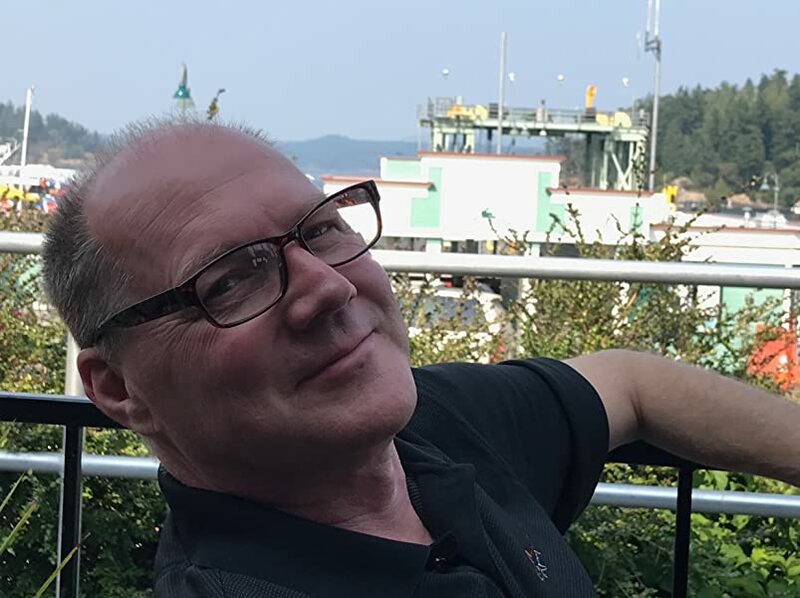 Graduating from Anacortes High School, Westminster College, and the American Institute of Applied Politics, Franklyn worked on several political campaigns before he started his foray into business. His business career eventually led him back to writing. In 2010, Franklyn sat down at a computer, and 90 days later he had written the first draft of “The Inset.” Years later, with the encouragement of his wife, Julie, he picked up the keyboard and pursued his career in writing. Several books later, Jon contacted an editor, and today you are enjoying the fruits of that labor. 5.0 out of 5 starsA spectacular flight of the imagination! Author Jon Franklyn weaves an outstanding and noteworthy tale of sci-fi fantasy with intriguing twists and turns that will easily captivate the reader’s attention from the beginning. The author paints an exciting and adventurous story of swords and sorcery in a very vivid and convincing way. In addition, the characters are drawn with great credibility and integrity. If you’re looking for an action packed, sci-fi fantasy adventure that’s packed to the rafters with courage, bravery and heroism, this book has it all…and more. The book description gives a sneak preview; ‘Carbynarah is a world at war with itself. Created so that all living things could use the magic that comes from Essence produced by the tree pictured on the cover. Shortly after the creation of Carbynarah, Natural magic users (magic that comes from the DNA of the individual) infested the world. If this volume is anything to go by, I’ll certainly be looking forward to reading more from Jon Franklyn in the future. This has all the hallmarks of making a great series. I would definitely recommend this book and would love to see it adapted for the Silver Screen. I honestly think it would make a fantastic movie. A well deserved five stars. 5.0 out of 5 starsHits all the right buttons! First, what I wouldn't do for a Ring of Warmth here in the North Country! That said, the author is so detailed, painting vivid pictures and rich scenes at every turn. I found myself practicing the hand gestures and imagining myself a mighty wizard. And I know that my wife and I have mastered the Wizard's Language that Mr. Franklyn so thoroughly describes in this book. The author hit a home run with this one! Dragons. Wizards. Noble kings. Ancient swords. Strong male and female characters destined for greatness. It's a superb escapist tale that also reads like a how-to course in wizardry and ancient history. Very satisfying for left and right-brained readers. Well done. Yron is a character worth following. 5.0 out of 5 stars5 Solid stars for this one. My favorite character in this story is Yron he was the apprentice to the head magician Raaj. Yron is very creative and was able to figure out how to expand and make better the spells that he learned from Raaj. This story is full of challenges for King Timon and his kingdom. With attacking armies and enemies galore. The king’s family are all in trouble. His eldest son is on his deathbed, his next son is travelling with the army, and his daughter is also heading up a portion of the army. What many do not realize is that the daughter is actually the people’s choice as secret winner of the competition attended by many of the trained soldiers. She has been personally trained to be quite the warrior as well as a champion. Jon Franklin shows his ability to weave a great story with his true to life characters. I found this story to be quite different from the average one. It was like a breath of fresh air. Looking forward to the next installment in the series. Will King Timon and his kingdom survive? What about his children? I have rated this well written story a solid 5 stars and look forward to more from Jon Franklin. This is a great read any time of year. 5.0 out of 5 starsI had a hard time putting this book down! I love it when a book can draw me in and keep me engaged and wanting more. I felt for the characters and loved learning their different cultures and what got them to where they are now. I could hardly turn the page (or swipe the screen, in this case) fast enough at several points. I can't wait for the next book! A wonderfully written story. I bonded with the characters (great character development) and soon had my favorites as I traveled with them through the pages. I was totally surprised at the unexpected ending and look forward to book 2. 5.0 out of 5 starsFantastic Fantasy Journey! It's a wonderful storyline. It engages the mind and spirit of the reader. It is written with such detail that your imagination can see it so easily. What a great escape from reality! I am waiting with anticipation for book 2! Finally a new story line. Refreshing. Easy to read. I could not put it down!